Home / Rides & Events / Other Motorcycle Stories / Happiness on a Motorcycle – How Long Can It Last? Happiness on a Motorcycle – How Long Can It Last? I am conflicted about what kind of rider I really am. Middle age is looming as a much larger factor, but, while young at heart and foolish in my wants, I am willing to compromise to achieve the best of both worlds. So, after riding tons of bikes, I ended up buying a new Triumph Street Triple R ABS and trading in a perfect 2007 Yamaha FJR1300 sport touring bike with very low miles. 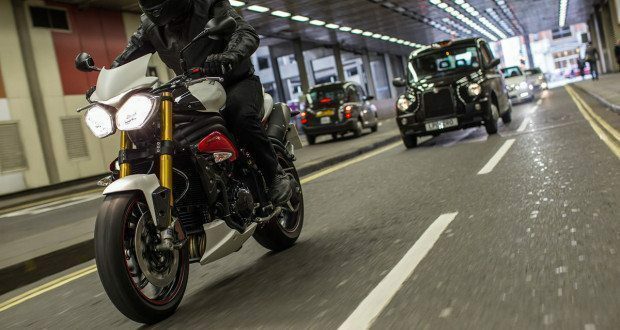 The FJR was way too big and ‘too sportbike.’ I love everything about the Triumph from: it’s flickability, light weight, comfortable seating position, the growl of the exhaust, and, of course – all of that power. But, I already own a ‘cruiser’ that specs out closer to a sportsbike on paper. My ’08 Hyosung GV650 has a high revving V-Twin with 72HP and 47 Ft./Lbs of torque, on a bike that weighs in under 500 Lbs. Very uncruiserlike. Yet, it has forward controls, low seat height and a relaxed upright position. Also, it looks like a wannabe Harley-Davidson V-Rod. A bike already unique in too many ways to list, with its own controversies. The Hyosung GV650 is a joy to ride, unadjustable suspension and all. It meets most of my sportbike desires, and, for over a year, did double duty as both my sportbike and my cruiser, and, it did it pretty well. Yes, the Hyosung and my Triumph are within 25cc’s of each other, but, that is more of a function of middle age, and, conservative nature in the end. I really don’t need, or want a liter bike, in either category. Besides, the current naked streetfighter in my shed can kill me just as easily as a BMW S1000RR HP4, really. I see no need to add 100+ HP to an already volatile mix of wild enthusiasm, bad judgement & limited riding skill. So, for July through September, I was a truly happy clam. Getting all of my needs, wants & desires met by two motorcycles, both of which exceed my targets by a very wide margin. What’s not to be happy about? They each had their purposes and usefulness. Just hanging out at my dealership, while waiting for my bike to be serviced – there it was, glinting in the bright sunlight. All RED and chrome, de-badged and ever so custom. Long, teardrop tank, dipping into a nicely molded driver seat, a 21″ front wheel, uncovered struts, elegantly tilting back to a finely sculpted steering head with a small, yet balanced single headlight and topped with matching chromed beach (drag) bars gently curving back over the tank. I could hear her calling my name. “Ride me!” she demanded. What’s not to love? First full view is from the side, so, every element sits in balance with every other element, and I get a full view of her 33 degree rake. Wow. I’m speechless. Unable to understand how this perfection was created. Who did this work? Can it be duplicated? How can 1 person match all of these diverse elements together in such a balanced perspective? Stepping forward, and, instinctively towards the front, I see the radiator, invisible from the side, yet glaringly obvious from any other angle. But, other than that ugliness, the whole bike screams custom. I begin the close up examination. Kawasaki – Hunhgh? It was a relatively ‘stock’ Vulcan 900 Custom, vintage 2008 with 7,500 miles on the odometer, that has been de-badged by the prior owner. So, virtually everything is from Kawasaki, and, yes- it is almost entirely stock. Too late now. She already knows I have to have her. Radiator aside, her every curve and bend, and her air of coolness, it all blended into perfection. Almost sweet perfection. Kuryakyn switchblade highway pegs. I mentally customize the motorcycle I’ve only just met. Fighting it is useless. I want her. I want her bad. I try to get a grip. I decide to reserve all judgement and do some research. 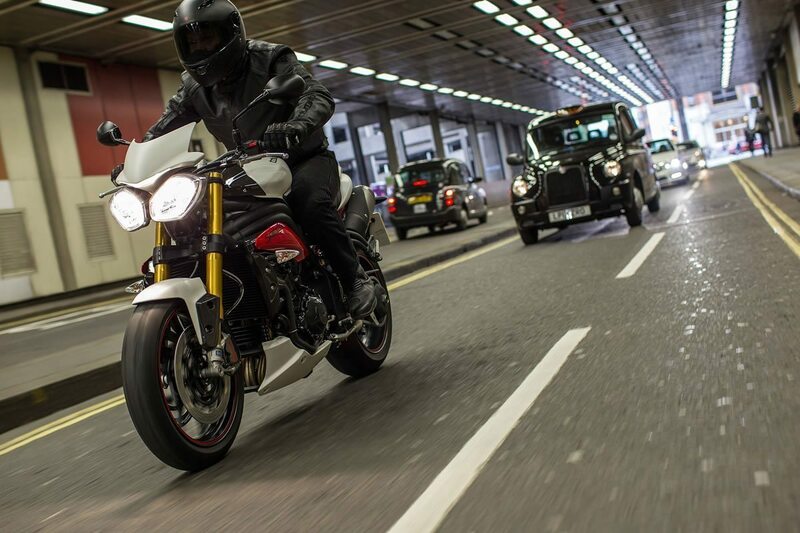 The research reveals the Vulcan 900 Custom is a great bike that needs a 6th gear and a better seat. Other than early model year stator failures, it’s bulletproof. Even the factory faults, like a gas gauge that says empty after 2.5 gallons can be fixed for $5.00 and half an hour. The beautiful stock pipes sound good, but, with a few holes drilled, the sound is increased and deepened, without giving up the spacial perfection between the pipes and the rest of this well balanced Custom. Since it rides on a belt, the pulleys can be replaced, thereby fixing (reducing) the need for a 6th gear. If one was going to commute primarily, or, drive across the country, a taller rear tire can be fitted for an even more relaxed rev count at highway speeds. 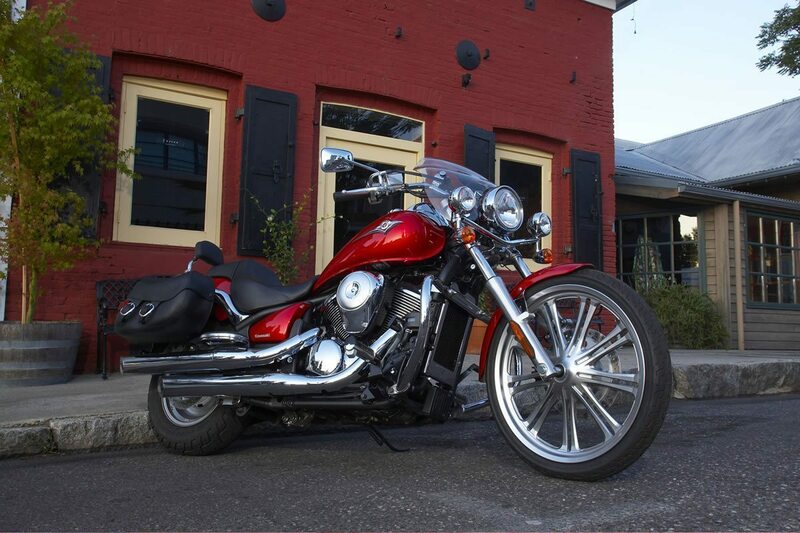 Best of all, a five year old, low mileage Vulcan 900 Custom can be had for around $4,000. But I didn’t take her home… I opted for her redhead sister instead. I found a burnt orange (absolute favorite color) Vulcan 900 Custom up the road. It was one year newer with lower mileage, accessories, and a lower price. Sure, I can trade in my trusty, dusty Hyosung GV650. The GV’s provided me with 10,000 miles of hiccup free service. She’s never left me stranded and satisfied almost every desire that I’ve ever had… but am I really ready to trade in my sportbike cruiser for visual perfection? Are looks and sound what I’m all about? What does the Kawi do that the Hyosung doesn’t do? I would be giving up 22HP, adding 130+ lbs, reducing flickability & sacrificing some braking ability… AND I would be paying up to $2,000.00 just for the privilege of doing it. The math just doesn’t add up. I have brand new tires and fresh oil the GV650, and, I pulled out my baffles, so, the installed performance kit is working- it’s riding very well, thank you. Other than too loud, it really is a perfect bike in many ways. The perfect bike, for me, for at least a little while longer… and then we’ll see. Next: $50 Gift Card for Leaving Comments? Yup! I started going smaller at 50 years. The 1000cc gave way to a 650cc which gave way to 250cc scooters with a 250 Rebel in reserve. I didn’t do the type of riding a big bike served and short commutes are a way of life now. Still….there are many bikes on Craigslist calling me for not much money. I’m not done riding yet. Ha-Ha, every motor with healthy HP will always feel like it needs another gear. Happiness on a motorcycle is a slippery monster. There are certain bikes that represent certain categories that I will always lust after. My ideal bike arrangement looks more like a video game collection than a legitimate list of owned bikes. My dream motorcycle garage would have a power cruiser (Honda Magna), sport naked hooligan bike (my current Honda 919), high-revving 250cc sport bike (Ninja 250 or VTR250), large sport touring (Concours, FJR, etc), comfortable cruiser (too many to list), something bizarre that didn’t sell very well (Suzuki VX800? ), and even a vintage sport bike for good measure (my current VFR700). No matter which couple of categories are represented in my garage, I will always lust after the missing categories. I spend a lot of time trying to convince myself that the true dream garage would probably end up requiring more regular maintenance than I would enjoy! I’m not a fan of cruisers so I’m kinda the wrong person to ask. But your argument is sound. I think, while the Kawi may be gorgeous to you, it will lack what you like about your GV650. If you are really wanting the new bike, get it but make it #3, then if/when you decide you don’t like it as much, you can sell it and not have lost anything.